The Encyclopedia of Desalination and Water Resources (DESWARE) meets a long-standing need in the desalination and water resources community for a detailed archival source of knowledge. It covers the science, technology, methodologies, experience and management of this diverse and important subject. DESWARE is designed to fulfill the needs of a wide spectrum of users seeking reliable information, including science and engineering students, university professors and educators, informed specialists and practicing professionals, planners and consultants, plant operators and maintenance staff, managers and policy-makers, researchers, etc. 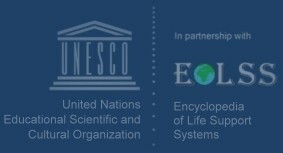 The encyclopedia is organized in 15 Sections dealing with education, training, design, planning, research & development, management, operation, and maintenance. Each Section contains an organized collection of articles. In total, DESWARE contains about two million words, 1900 graphics and 800 data tables, all of which is approximately equivalent to 9 printed volumes of 500 pages each. The subject matter is presented at various levels to make the encyclopedia accessible to as wide a readership as possible. Of general interest are background information, historical development, trends, and regional demands. For the specialist there are features on research and development. Non-specialists will benefit from the broad introduction provided to all desalination and water resources topics, and will find answers to specific problems.